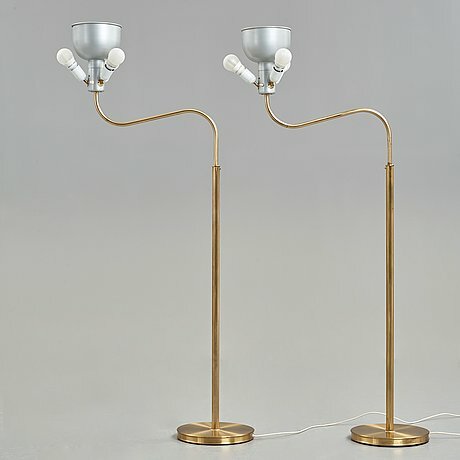 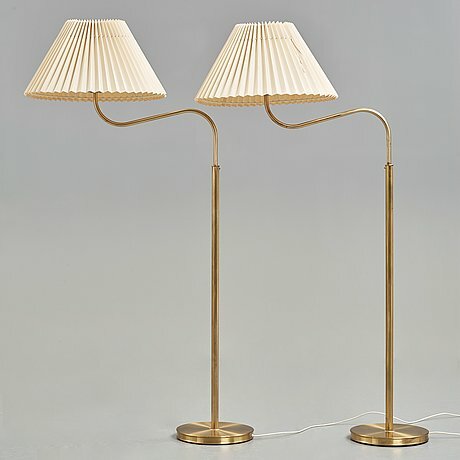 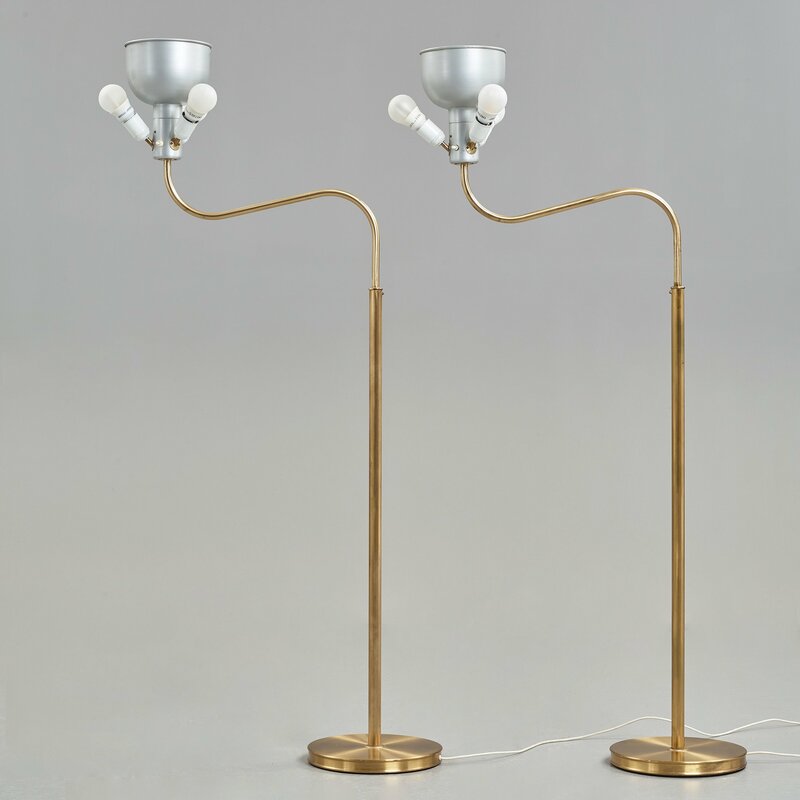 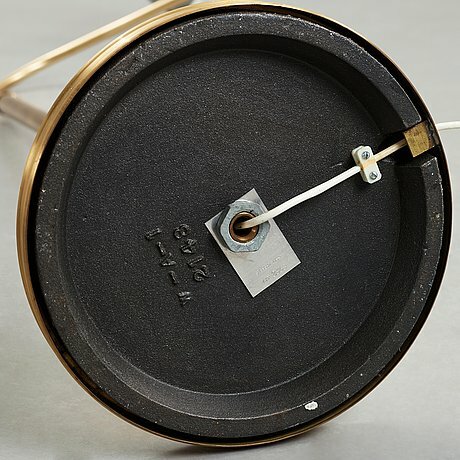 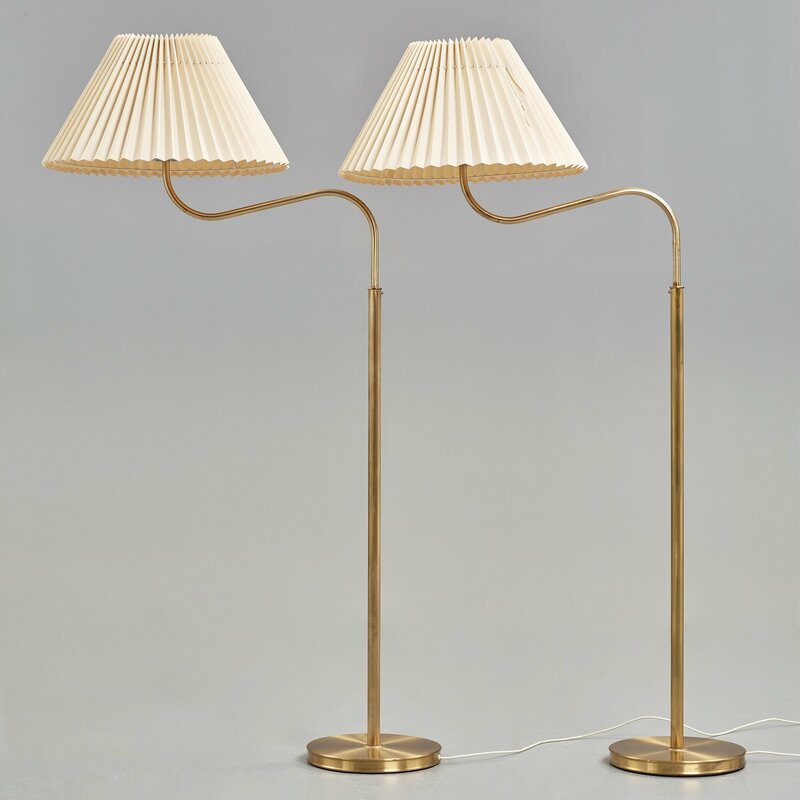 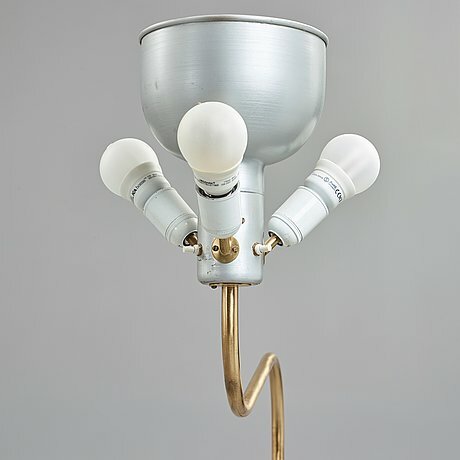 a pair of brass floor lights, Svenskt Tenn, Sweden. 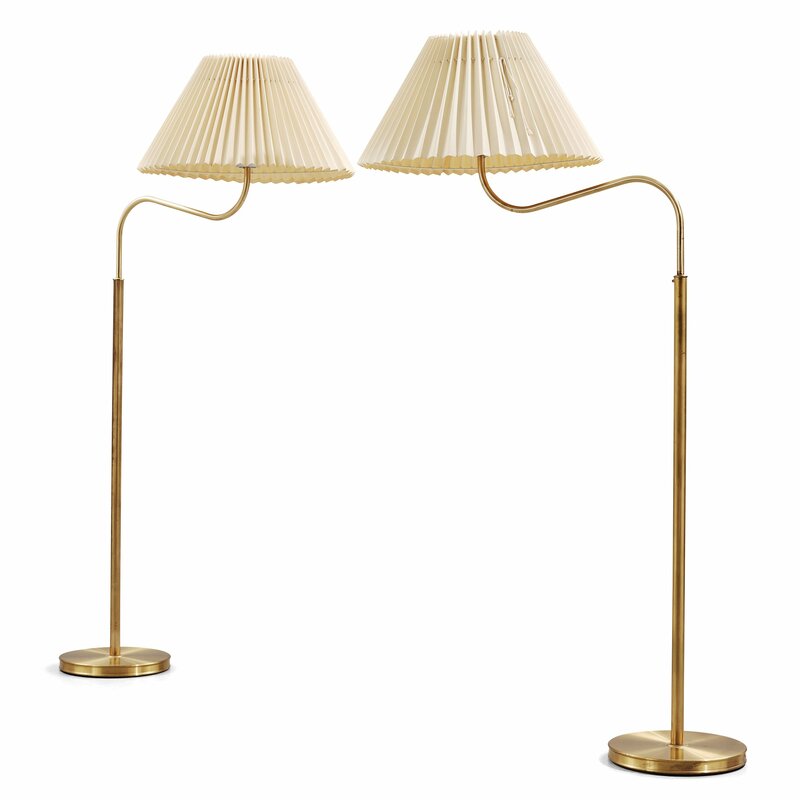 Model nr 2368, textile shades. Height 160 cm.